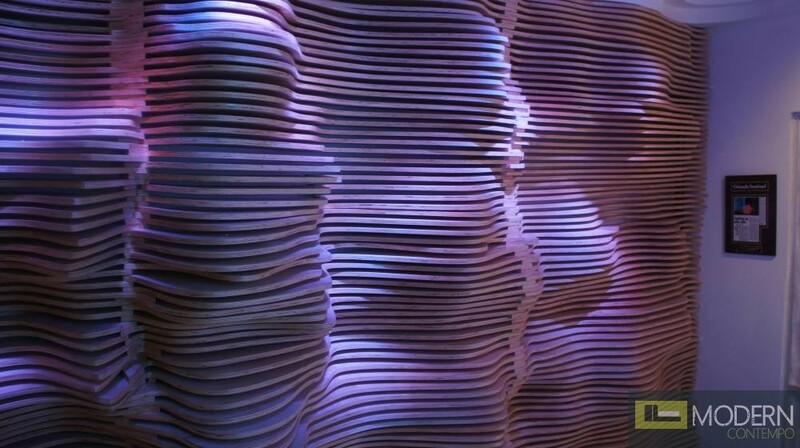 Modern Contempo 3D wall surface panel works in multiples to create a continuous, sculptural lit wall. Panels interlock to ensure accurate panel-to-panel alignment and superior joint stability. 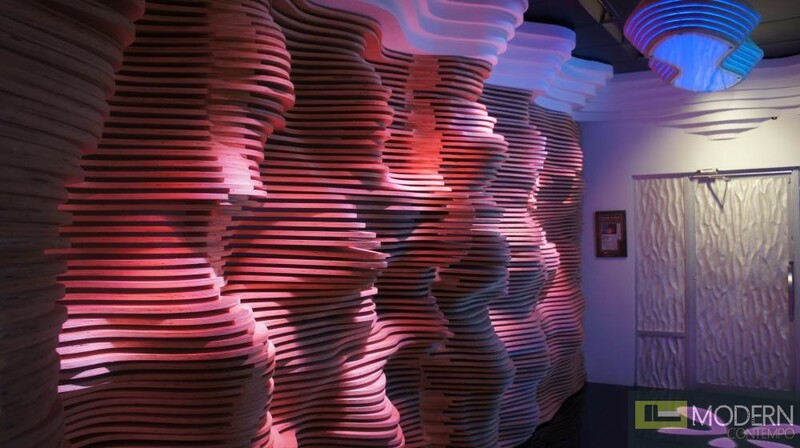 Repeating panels accommodate areas of any size and can be easily trimmed on-site. Panel size 4ft x 8ft is designed for less waste in off-cuts, easier handling, less costly shipping and less crating waste. We are dedicated to the manufacturing of smart products and we strongly feel that if you’re going to cover a large surface area with a decorative material, it really should be durable. 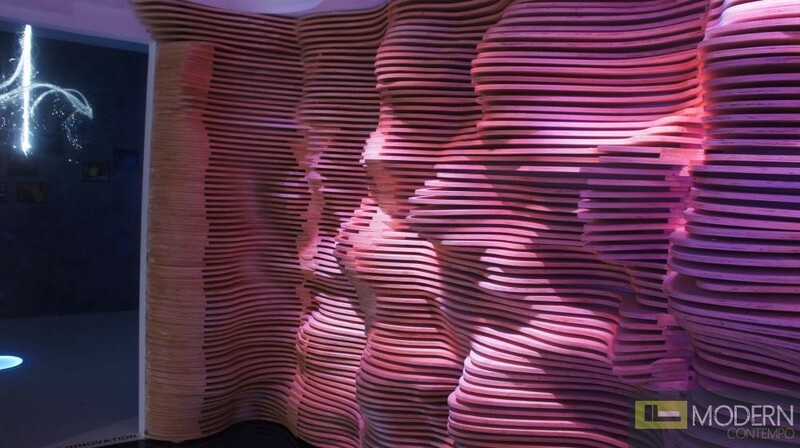 3D standard wall panels are produced out of “MDF” measuring 4’x8’x Varies and computer designed so that carved & sculpted designs flow seamlessly from one panel to the next. We also offer in custom orders variable thicknesses of 9mm, 12mm, 15mm, 18mm, 21mm, 25mm, 30mm, 40mm, 45mm and 50mm with 15mm as the standard for stock items. Do note thickness impacts the depth and look of the tooling pattern so a minimum thickness is required for each design and not all patterns can be made in any thickness.